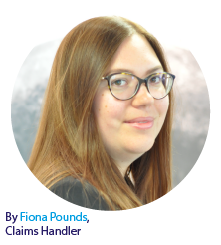 The Shipowners’ Club > LCC > Fiona Pounds: When does a fixture become binding? Parties in more procedurally conservative jurisdictions can be surprised at the ease with which a binding contract can be created under English law. In the context of charterparty (c/p) negotiations, it is generally the case that an agreement will be deemed binding prior to a formal charter being drawn up and signed. Sometimes a charter document is never created, and the parties rely entirely on their email exchanges as evidence of their contractual terms. Whilst under English law there is no fundamental requirement for a contract to be in writing or signed, parties are not generally bound by an agreement until they have agreed all its essential terms and expressed an intention to be legally bound by them. Discussions relating to the charter of vessels have their own peculiar customs. Fixture negotiations tend to take place in two stages. Initially, the main terms are agreed and set out in a ‘fixture recap’, with the phrase ‘subject to details’ or similar wording included (the first stage). These details will then be negotiated and agreed individually (the second stage). Under English law, the expression ‘subject to details’ is accepted to mean that the parties do not intend to be bound at this stage. As such, there is no binding contract whilst the stage two details are being negotiated. However, at the point at which the parties agree on all the second stage details, it is normally considered that a binding contract has been formed. This is often referred to as there being no “live” subjects remaining. A communication is often sent at this stage noting ‘all subjects lifted’, along with the expression ‘clean fixed’, to signify that the fixture has been concluded. It is generally accepted under English law that ‘subject to details’ and similar phrases are a condition precedent to the existence of a contract, allowing either party to withdraw from the negotiations. This is in line with international ship broking practice. The Baltic Code states that, until there is complete agreement on all details, there is no enforceable contract. There are clear commercial advantages to a regime which allows parties to negotiate freely. Parties can be more comfortable in their discussions if they know they will not be bound unless and until they intend to be. However, such a system is not immune from criticism. The Baltic Exchange and other respected commentators have recognised one particular drawback; that the power of subjects can be misused. For example, a charterer in a poor freight market might purport to contract with two ship owners for the same cargo movement. By introducing an arbitrary ‘subject’ in both fixture negotiations, they could try to lower each ship owner’s price, without any risk of being legally bound to the higher-bidding party. It is perhaps in this context that the recent Singapore Court of Appeal decision in Toptip v Mercuria, reported in last month’s LCC article, can be best understood. In this case the Court found that there was a binding contract, despite the existence of a ‘subject to review’ phrase. In doing so, they concluded that the word ‘subject’ is not in itself determinative; whether a fixture has been concluded depends on all the circumstances. It is easy to see the attraction of this argument, given the factual circumstances of the case before the Singapore Court. The party relying on a ‘subject review of charterers pro forma CP’ wording to avoid the contract had shown no interest in the wording of the c/p when it was provided to them. Nor did they request any changes to it. All their other behaviour supported the view that the contract was going ahead. Why then, you might ask, should they be able to avoid the contract entirely by relying on the presence of the word ‘subject’ in the fixture recap alone? Interestingly, in reaching their conclusion, the Singapore Court cited an English law case, The Pacific Champ. They suggested that the factual background in that case clearly influenced the judge in determining what was meant by the phrase “SUB REVIEW OWNERS HEAD CP BTB”. It is important to note that the main thrust of the judgement in The Pacific Champ continues in the vein of previous authorities, in emphasising the need for a moment of consensus between the parties. Indeed, the Court ultimately held in this case that there was no binding contract between the parties on considering all the evidence. However, the Court had also heard submissions in this case that the phrase ‘sub review’ was a condition precedent. In other words, it was a condition precedent to a binding contract being created. Until the subject was formally agreed or lifted, there was no enforceable contract. The Court’s conclusion on other aspect of the case meant that they did not need to consider the question of whether such a clause is a condition precedent. However, they indicated that had they needed to decide on that argument they would have rejected it. Eder J held that although terms such as ‘subject to details’ will ‘generally preclude’ the existence of a binding contract, ultimately the meaning of such words had to be construed with reference to the other clauses used and facts present. On that basis he concluded that the phrase ‘sub review’ in The Pacific Champ fixture recap was actually a condition subsequent. It created a binding contract, subject to a condition. If this condition was not satisfied, the contract would cease to exist. However, this did not provide the parties with an ability to avoid the contract for reasons unrelated to the condition subsequent. There are few other situations than charterparty fixtures where complex contracts are concluded with such speed and efficiency. To this end, the phrase ‘subject to details’, under English law at least, still provides a degree of certainty that the parties do not wish to be legally bound. However, it is important not to rely too heavily on the use of this phrase alone. As is clear from the above cases, actions and communications inconsistent with the position that a contract has not yet been formed can be taken into account. Our advice to Members is to always be conscious that jurisdictions take different approaches as to whether there is a binding fixture or not, and Members should be careful not to be bound unintentionally. There are some statutory exceptions to this rule, for example contracts relating to the sale of land. The position under American law is essentially the opposite, in that a binding contract can exist at the first stage identified above, when the parties have reached an agreement on the main terms, but only ‘subject to details’. A set of Rules used by ship brokers who are members of the Baltic Exchange in London.